With these fabulous oxygenated colors from Nailberry, you can create the perfect and healthy manicure! Maliblue is an intens cobalt blue color. 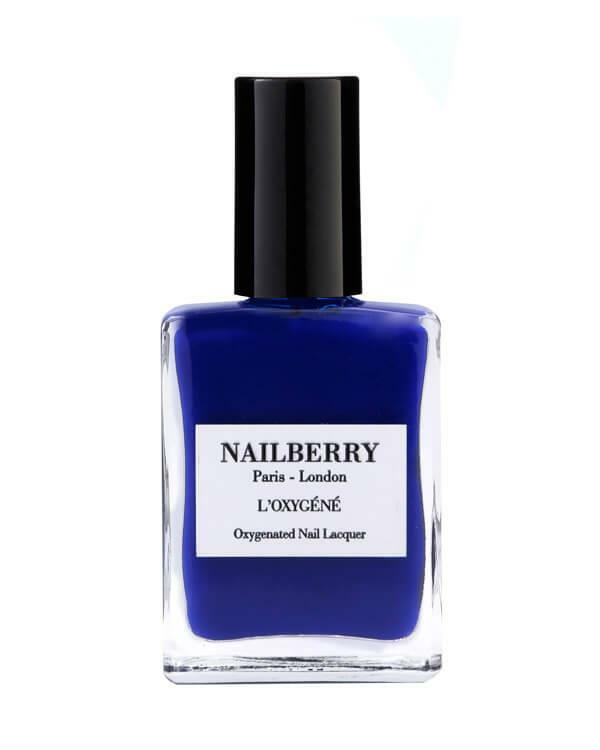 L’Oxygéné is Nailberry’s multi-award winning, luxury nail polish range. L’Oxygéné uses patented technology to deliver a healthier manicure with no compromise color. The L'Oxygéné nail polish is formulated to be free from Phthalates including DBP, Toluene, Formaldehyde, Formaldehyde Resin, Camphor, Xylene, Ethyl Tosylamide, Triphenyl Phosphate, Alcohol, Parabens, Animal Derivatives & Gluten. L’Oxygéné uses the latest technology to deliver a color film which allows air and water vapor to pass through it making sure your natural nail is respected, even while wearing color. Also, the L'Oxygéné nail polishes have been certified by world recognized International Halal Integrity Alliance (LG05848). Apply one layer onto a Nailberry base coat and let dry. Follow with a Nailberry top coat for a longlasting result.